How's Life in Jamaica? Lyndsey, a British Expat Will Tell You! I have been dreaming of going to Jamaica since I was a teenager, and somehow I never made it. I was trying to freeze my nostalgia and the need of going there by listening to Jamaican vibes and dancing. 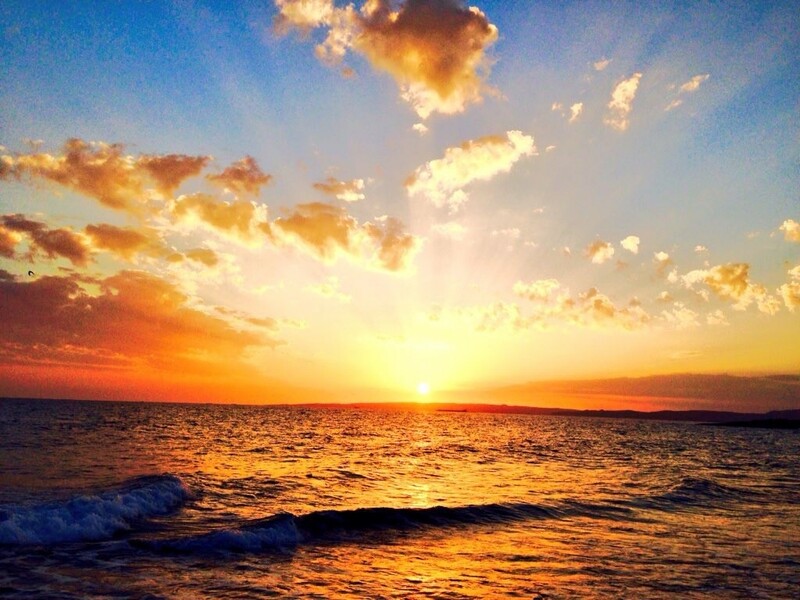 When I discovered Lyndsey’s blog, Caribbean Cables, I just got swallowed up, I couldn’t stop reading and looking at the photos of splendid sunsets, crystal-clear waters, and palm trees. Lyndsey Kilifin is a British expat living in Jamaica and travelling around the Caribbean. She’s a good observer and she got really absorbed by the Jamaican spirit. I have asked her to share her Caribbean experiences and let us in her world for a while. Ready? Let’s go to Jamaica! So first of all tell us how did you end up in the Caribbean? My husband is a Diplomat and he thought Kingston would be a fun adventure and a great start to married life for us. As it turns out he got on a plane on our first anniversary and it was 3 months before I saw him again. Good job I love rum. 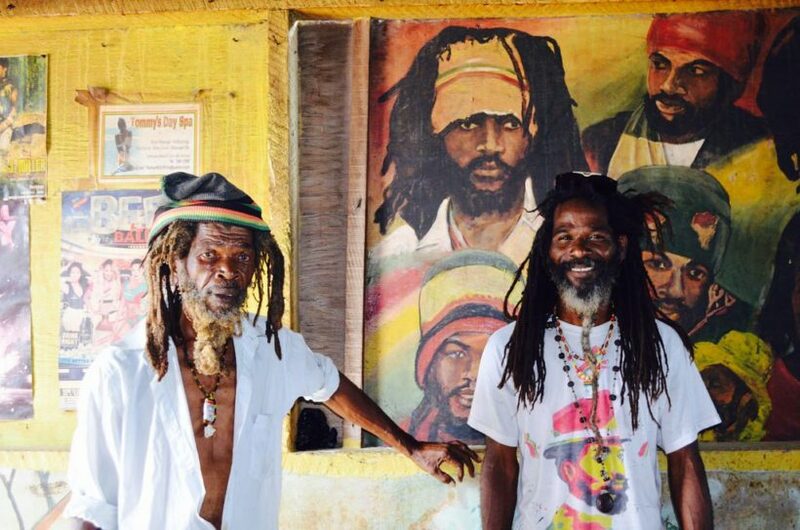 How is Jamaican life different from the British way of living? Is there something Brits should learn from Jamaicans, or Jamaicans from Brits? As a Brit living in Jamaica, I’ve learned to relax and stop taking myself and life so seriously. Jamaicans have a real zest for life; they love partying, and are always ready to get together and ‘lyme’ (hang out with friends). What can Jamaicans learn from the British? Umm, I’d have to say punctuality, haha! Jamaicans are rarely on time for anything, and while you get accustomed to it, it can still be frustrating. When your plumber tells you: Mi soon come, just remember he doesn’t actually mean any time soon, and you’ll get by just fine. You wrote in one of your posts that Jamaicans are the happiest people on earth. How do they express it? They party, sing, dance or they’ll go to church and effectively do all three there! Parties will usually have the world’s biggest sound system and last all night. I’m always amazed by the music speakers here. People have giant ones in the trunk of their car blasting out loud music, or they’ll tie a speaker to the roof of their van, or just balance a massive one on a bicycle. It gives a whole new meaning to the term mobile DJ! What do you like most about your Caribbean life and what do you like least? I love the natural beauty of the place; the palm trees, the mountains, the sea, and the bright blue sky. I really enjoy the food too. Things I would have never eaten anywhere else such as cow foot soup, mannish water, and toto. What do I like least? That’s probably the most difficult question to answer, but I’d have to say the way that government corruption has held back development in some areas of Jamaica; there is so much unrealised potential that it can be quite saddening to see the lack of progress sometimes. Can you give a brief insight into Jamaican life: paperwork, job opportunities for expats, prices? Life in Jamaica is full of opportunities for everyone. There are international standards of healthcare and dentistry – I get doctors appointments quicker than I would in the UK, but most other things take longer. The people are always friendly and ready to help if you find yourself struggling. 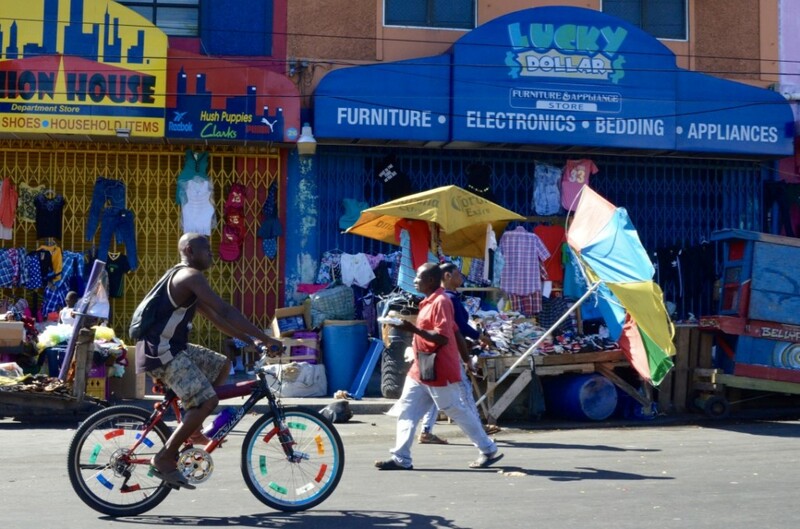 There are some of the usual developing country challenges, such as slow paper-based bureaucracy, high energy costs and a general high cost of living, but that’s not unique to Jamaica. Most expats come here with a job lined up already, usually with a large corporation or foreign government. The job market isn’t great, but being entrepreneurial is a natural Jamaican characteristic and is positively embraced. Do you speak patois? How do you, as a Brit, find it? Yeah man, whey yu deh pan? Patois is an instinctive local dialect that rolls off the tongue freely for a Jamaican. It’s so wonderfully expressive that after a few weeks, you’ll catch yourself trying to use it! 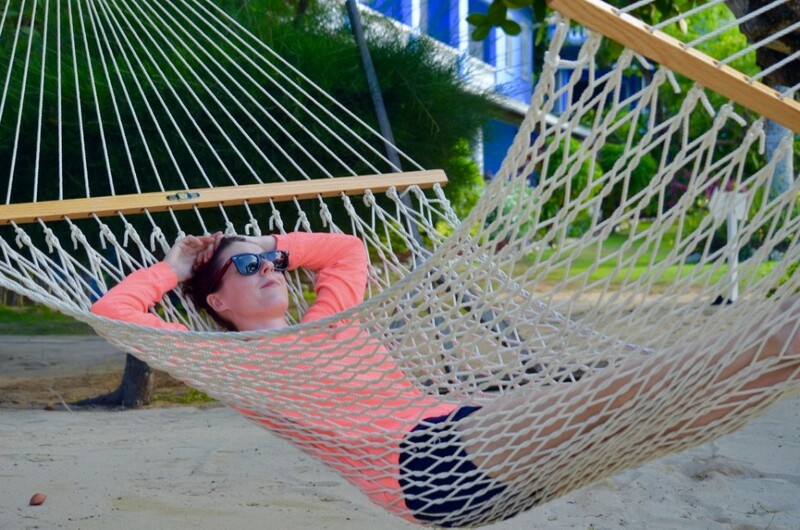 What should a newbie traveling or moving to Jamaica know? If it’s your first time in Jamaica, then expect culture shock to hit you harder than a falling breadfruit. Be prepared for the noise, Jamaica has a 24/7 music soundtrack, ranging from dancehall vybz to reggae beats and everything in between. There is no point fighting it – you’ve just got to embrace it! Also if you’re here at election time, be careful to avoid political rallies; things can get a bit crazy. A tourist or someone new here might not know that wearing orange or green is seen as showing an allegiance to one of the two main political parties and something best avoided. Jamaica has more to offer than rum cocktails, jerk chicken, tropical beaches and all-inclusive hotels. Though, there are plenty of those if that’s your thing. It’s steeped in history, rich with culture and you are spoilt for choice in terms of things to do. If you have the time, head inland and explore the Blue Mountains – you won’t be disappointed. I have heard from some friends that Jamaica is not the safest place to be, what do you think? Is The Caribbean safe? 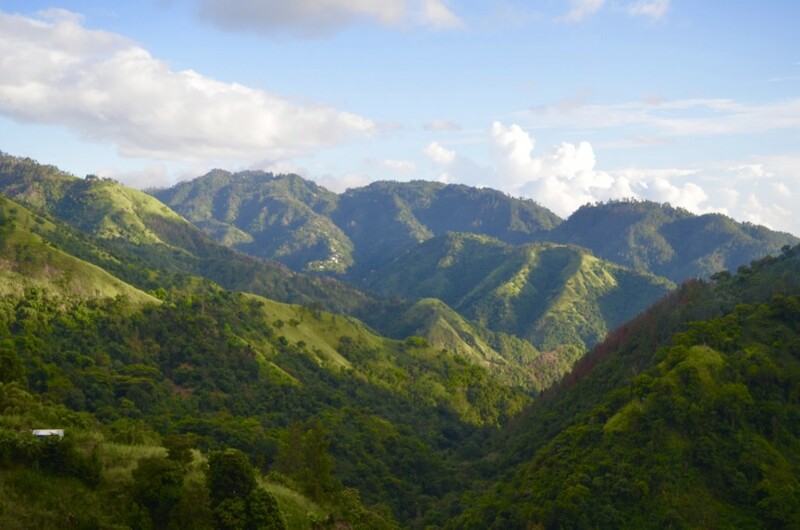 Large swathes of Jamaica are rural or coastal and perfectly safe. 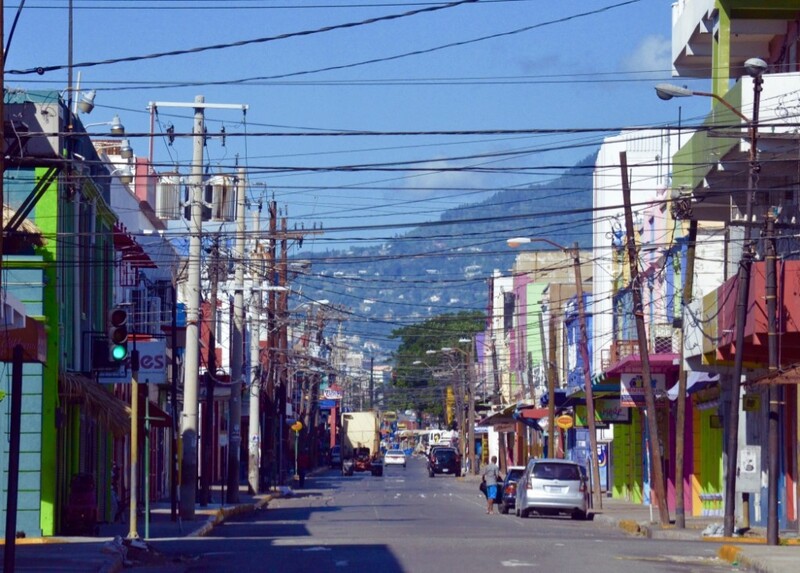 Kingston is like any other big city and has some areas that are best avoided. Most violent crime is gang related, and not something that would affect tourists. As a traveller, a few simple precautions will keep you safe. e.g. don’t walk around town after dark, stay out of garrisons (inner-city neighbourhoods), keep your valuables out of sight and keep your car doors locked when driving – guidance that is applicable to any large city. Safety across the Caribbean varies according to where you are. 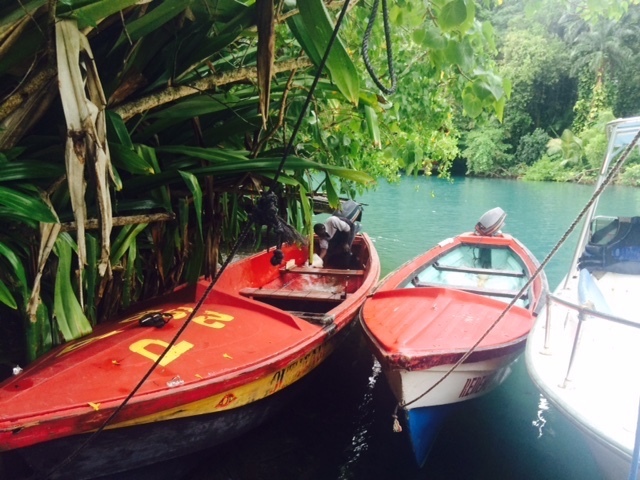 Some islands are crime-free paradises but none of them can match Jamaica’s vibrancy and spirit. Sum up your Caribbean life in one sentence. A happy life in a place of true natural beauty.